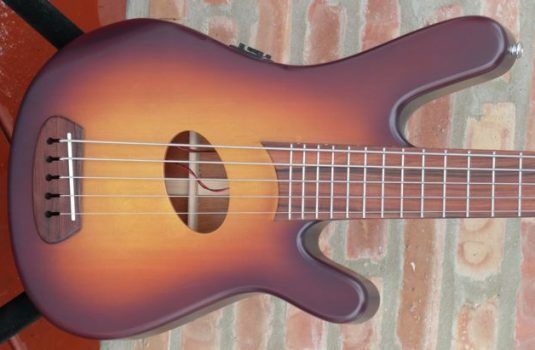 This is our first bass from luthier Mark Eshenbaugh, a Brado fretted 5. This bass was originally built for a player 2 years ago. This player dug the bass, but decided it was not quite right, so he asked Mark to make another bass , a better fit. 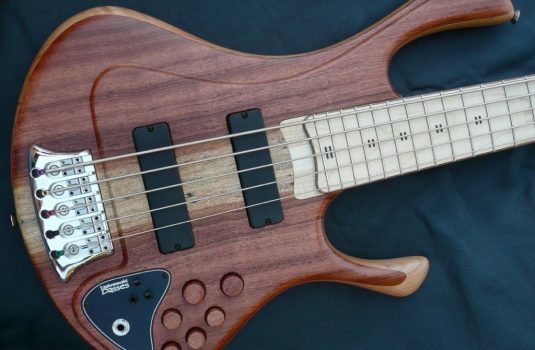 This bass was sent to Mark , who has inspected it, set it up , and declared healthy and worthy of the same lifetime warranty he offers on all of his new basses. 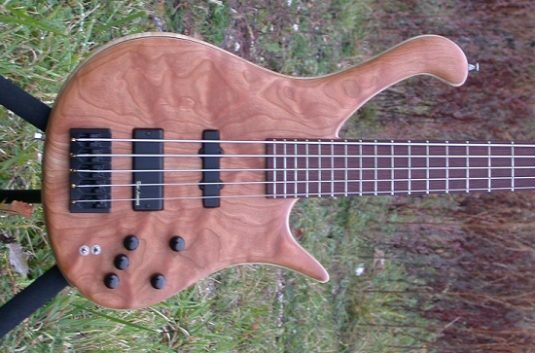 To the Bass, Flamed Maple body with center stripe of Maple, figured Cherry wood top and matching headstock. 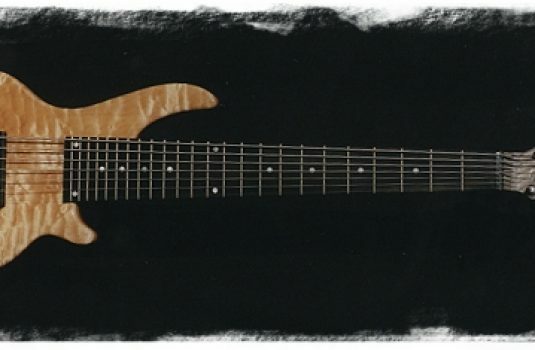 The 34″ scale neck is 3 piece Maple with runners , the fretboard is Rosewood. Pickups are by Kent Armstrong, the preamp is an Aguilar 3 band. This bass sounds BIG and plays very easily. Hey, that headstock IS big, this aids in low end and sustain, according to Mark. 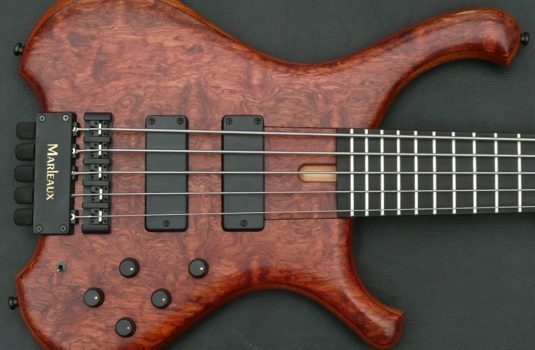 This bass has both, so I will not dispute Mr. Eshenbaugh.